Hodgman® Aesis™ Sonic waders features a Riri® waterproof front zip making the waders more convenient and easier to get on and off. The upper wader incorporates 4-layer shell fabric for added breathability where you need it most, and features a Durable Water Repellant (DWR) coating to shed water from your wader. 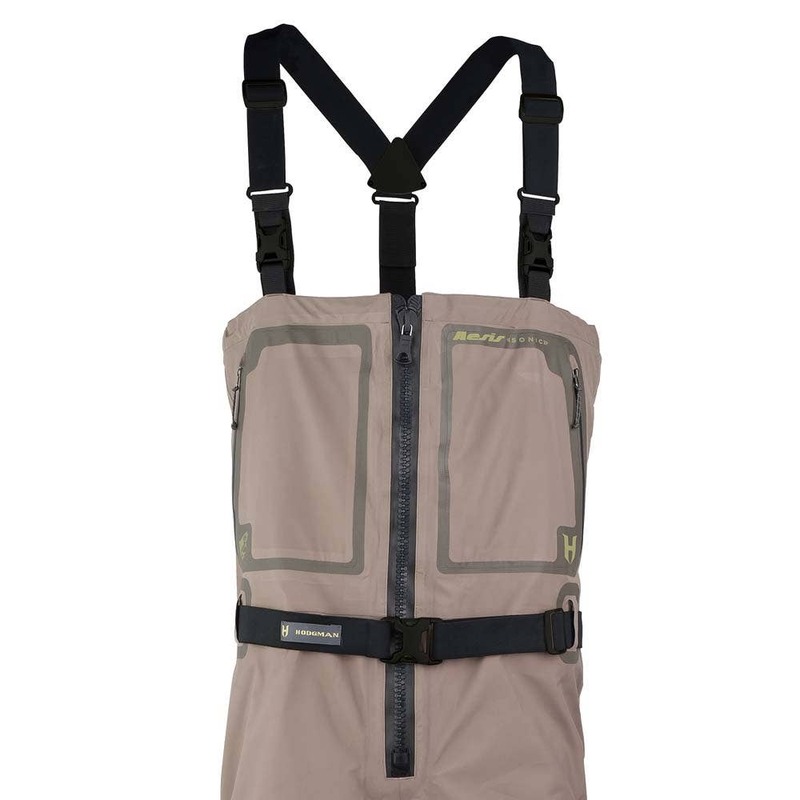 A Riri® waterproof center-front zipper makes the wader easy to get on and off plus provides optimum ventilation. 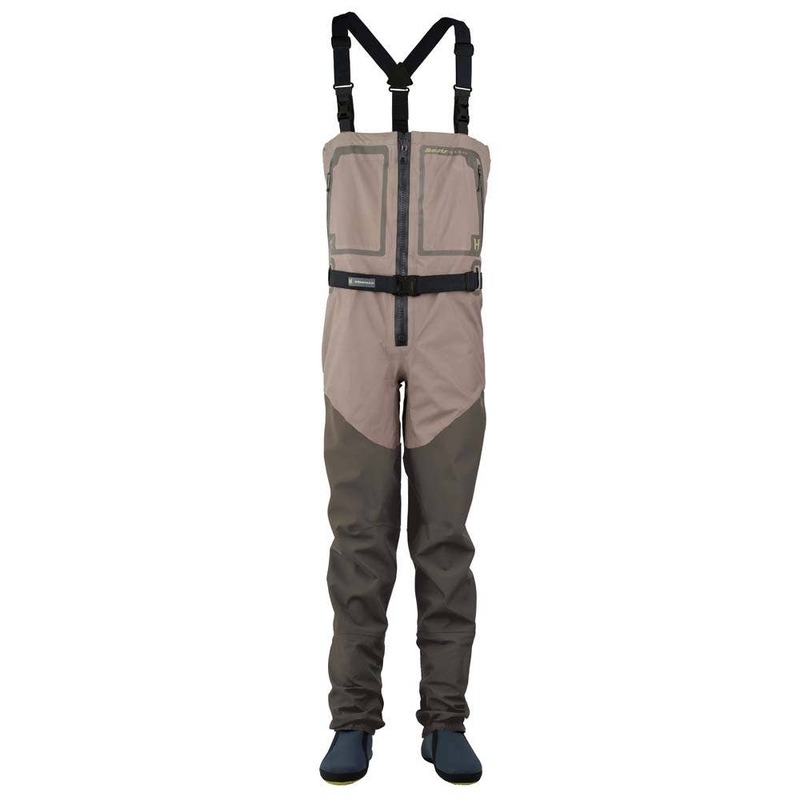 Convert your wader to waist high without removing your suspenders via the drop down system for hot days. Microfleece-lined hand warmer pockets utilize YKK® water-resistant zippers and an internal flip out storage pocket is included.